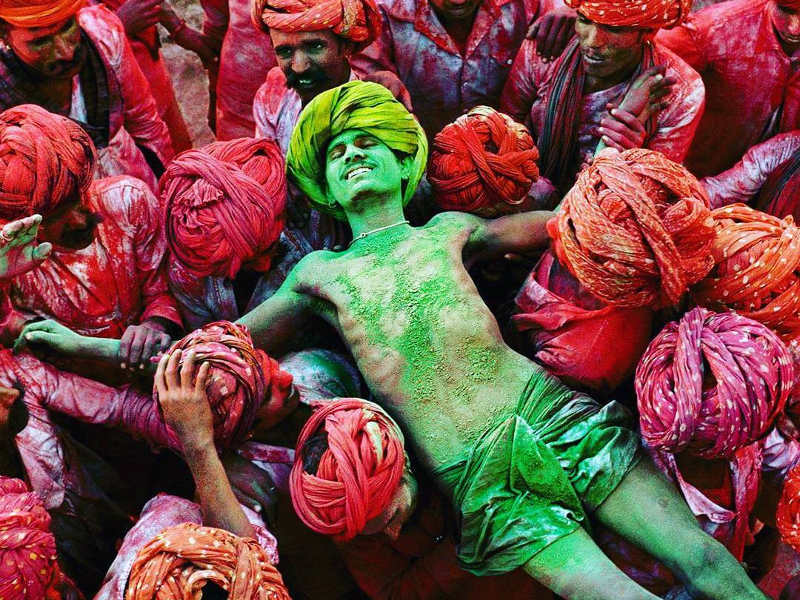 The Holi festival is the colourful spring celebration that takes place every year around the vast cities and villages of India and signifies the triumph of good over evil! The root of the celebration comes from a few different and interwoven Hindu legendary tales but is always looked forward to by locals and travellers to India alike. 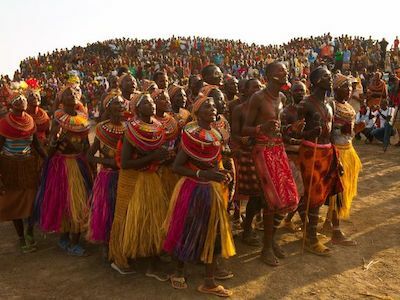 As it takes place at the beginning of spring, it also celebrates love and fertility, and is generally celebrated more in the north of the country than in the south. It is also celebrated in Nepal. 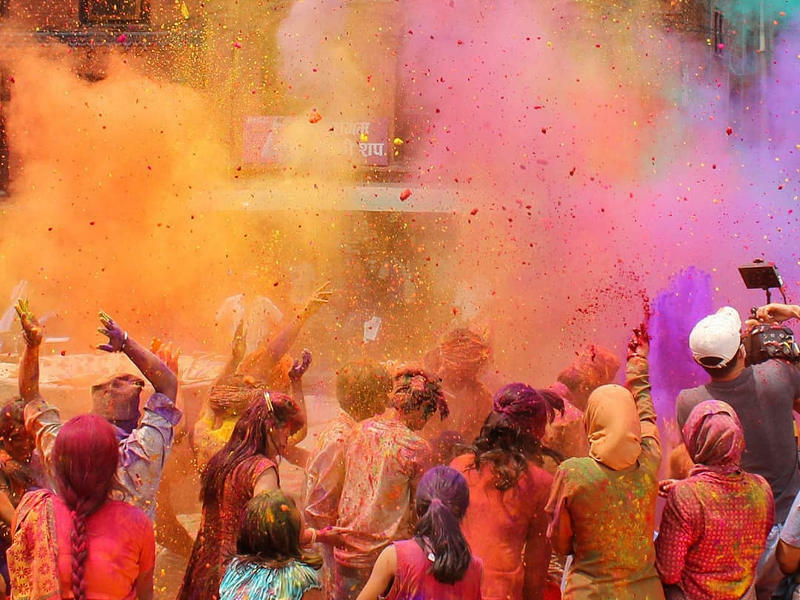 Holi is enjoyed over two days by the old and young as the rules and regulations of India are relaxed, allowing everyone to let their hair down and partake in this ancient ritual of joy and entertainment. 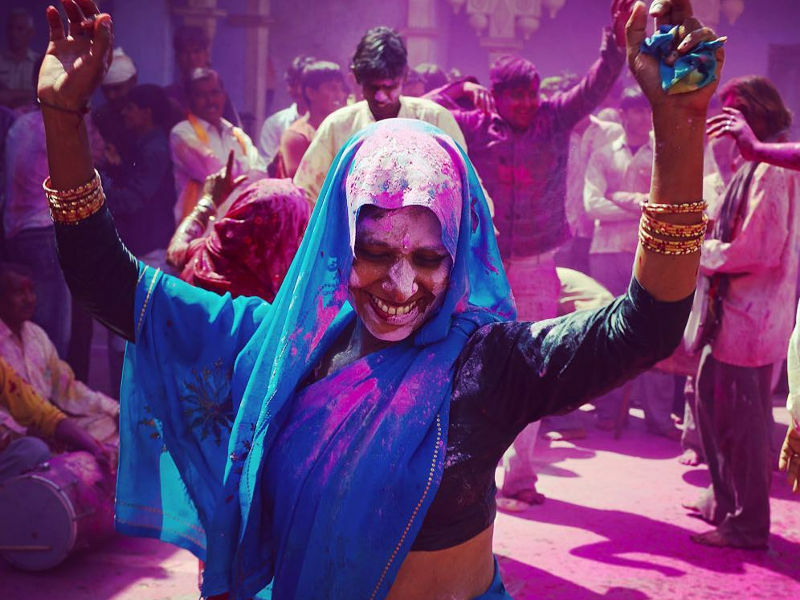 These days, Holi is celebrated across numerous countries, bringing people together in all of the powdered colours of the rainbow with laughter, dancing and good times. The Holi festival is celebrated every year, when we say goodbye to winter and welcome the season of spring with new life and love. This usually falls over the end of February or throughout March every year, around the spring equinox in the northern hemisphere. In 2017, the festival was held from the 12th to 13th of March, and in 2018, it will fall between the 1st and 2nd of March. 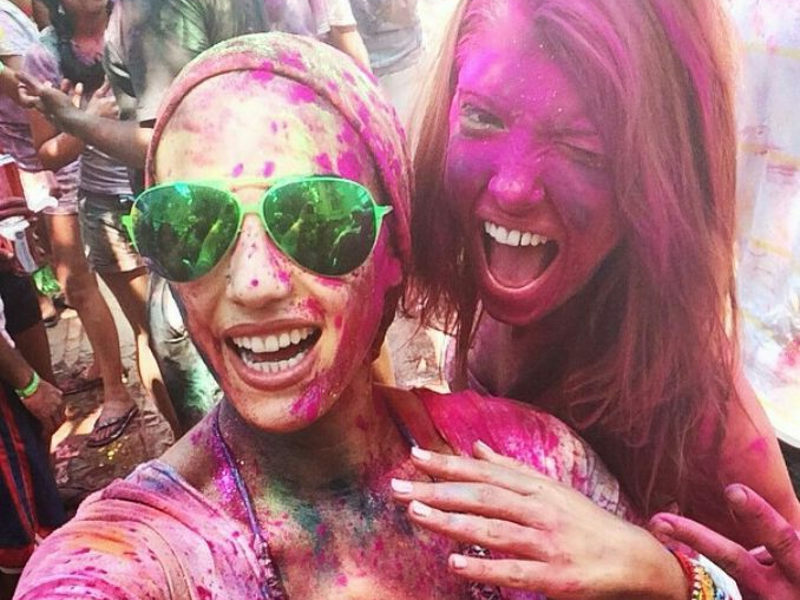 Where can you celebrate Holi? 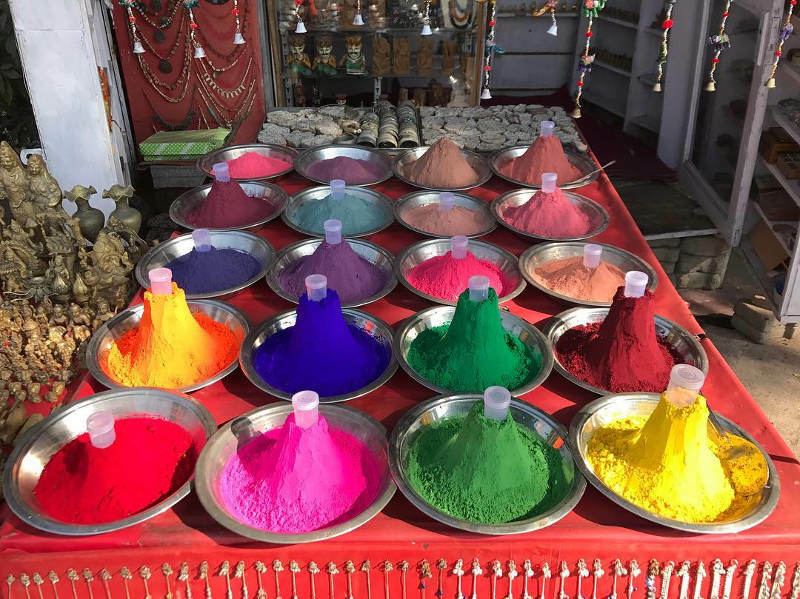 Holi is most commonly celebrated throughout the north of India and in regions of Nepal, and is less popular in the south of the country. For an authentic Holi celebration, consider joining in the activities in West Bengal, Mumbai and Delhi. For the biggest and most popular spots, you may want to venture off to Mathura and Vrindavan – both which extend the celebrations to more than a week long. Tourists are also known to visit the coastal city of Goa for the Holi festival. 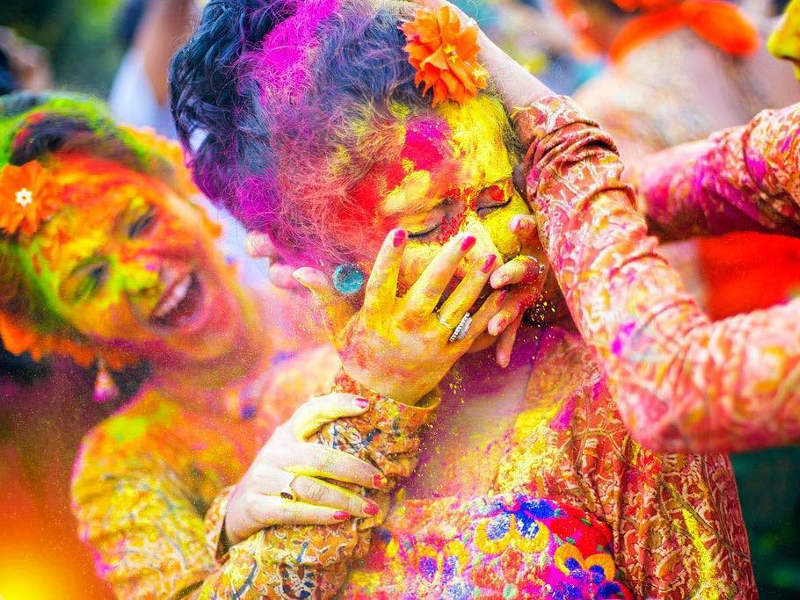 The Holi festival is one of the most celebrated attractions internationally and, with the exotic mix of culture and entertainment, this is one for the bucket list! 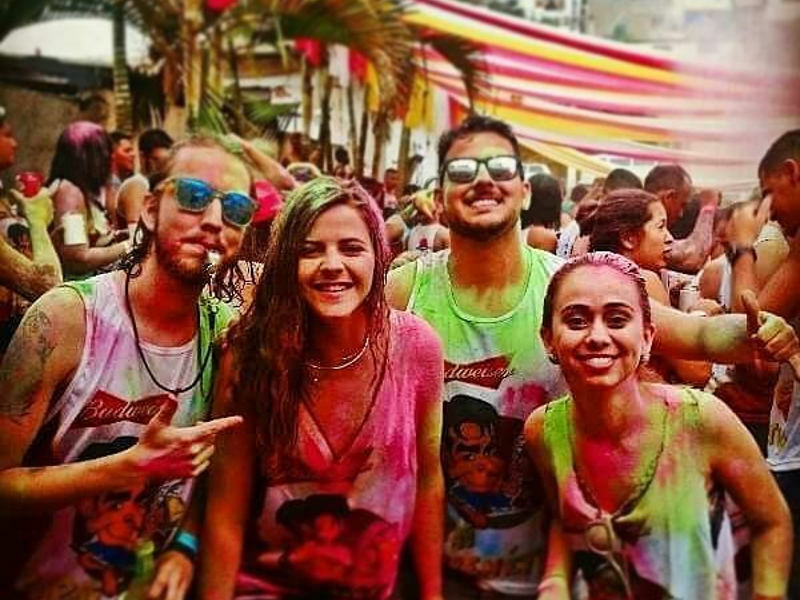 Holi brings people together from across the globe in an array of colours and laughs, and those who have experienced it are always left with the most wondrous stories to share. India, on its own, is already a world-class destination to visit, so why not book your vacation over the spring season to make the most of it all? The festival is celebrated in reference to ancient Hindu tales. 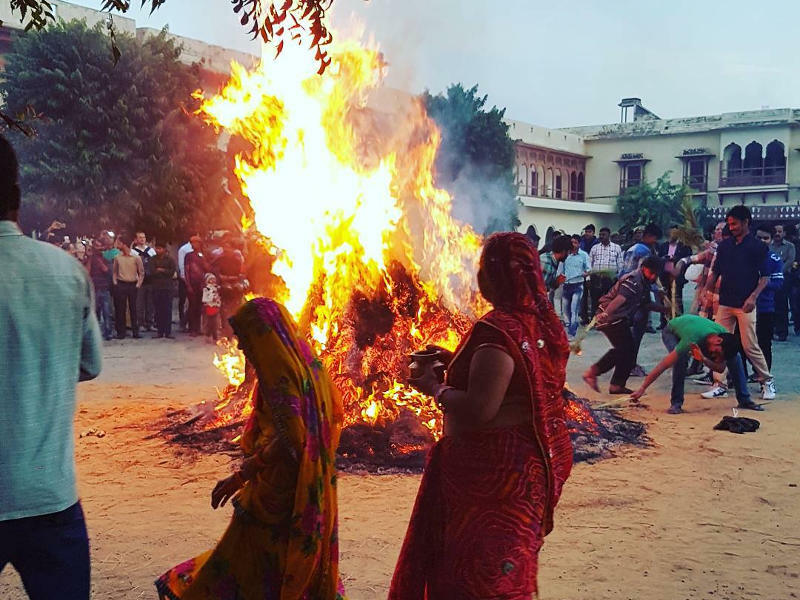 The first is about the female Hindu demon called Holika (the festival title of ‘Holi’ is taken from her name), and her defeat when she tried to destroy a young god with fire. Another is a love story about the blue-skinned god, Krishna, and how on this day he declared his love for Radha. He cemented their love by painting her face blue as well to symbolise their likeliness. So, in this way the festival is both a symbol of the triumph of good over evil, as well as the blossoming love between soul mates that were destined to be together! Getting to India is a really simple process and with a little help from Travelstart to book your cheap flights, you will find yourself dancing in the streets of the country’s various cities in no time at all! 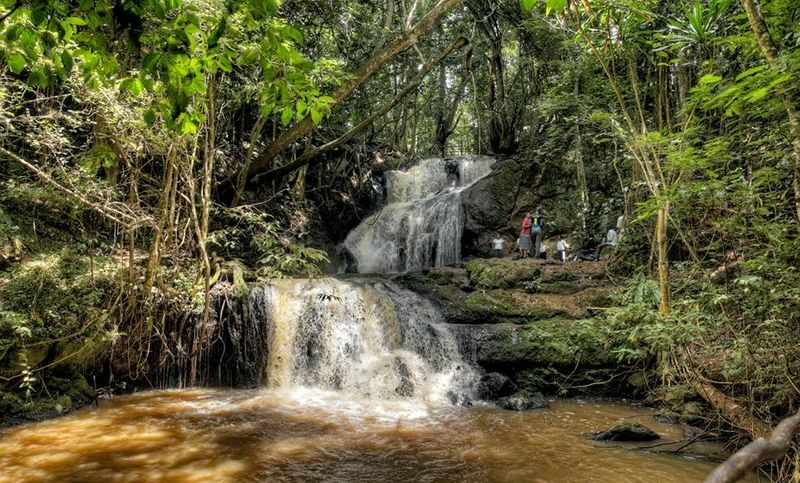 Kenyans need a visa to enter India, with a passport that has at least six months validity. Be sure to read up on your Indian visa requirements to get your checklist started ahead of time. Holi is celebrated over two days – Holika Dahan, a night of fiery enchantment, and the next day of Rangwali Holi, the colour explosion! The night before, big bonfires are made in city or village centres and people are encouraged to walk and dance around it. This is to symbolise the story of the female demon Holika and her demise, while goodness prevailed. The next day, from early morning, is when all of the excitement happens. Friends, family and everyone around partakes in the fun exercise of throwing colour powders on each other. The colours range from pinks, to oranges, blues and greens, and it is not uncommon to find festival attendees completely unrecognisable as they’re saturated in colour from head to toe! If participating, it is recommended to moisturise your body ahead of time, making it easier to remove the coloured powders once all the festivities have calmed down. Specially-made water guns are also found in abundance, used to drench each other in water – its all part of the fun! As this is a time of relaxed laws around the country, it is well noted that single women can sometimes be a target of harassment during the festival. It is recommended that Holi be celebrated in large groups of women and early in the morning, before drunken males join in.